Posted on : August 10, 2016, By: Tom Kokonowski, Esq. Being arrested for any crime can instantly turn your life upside down. Indeed, you’re likely worried about your future and what will happen if you are convicted. Depending on the crime, you could face several years in prison, hefty fines, community service, probation, and a permanent criminal record. Therefore, work with a skilled criminal defense lawyer to dismiss your case or reduce the charges. 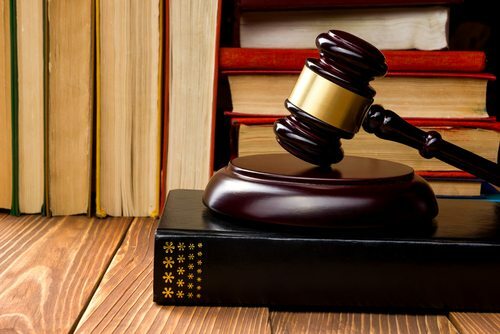 Following are 3 reasons why you should consider hiring a defense lawyer who was once a prosecutor. A former prosecutor turned criminal defense lawyer intimately understands the legal tactics a prosecutor is likely to use in your case. Furthermore, you can feel confident that your attorney will meet the prosecution head-on and present evidence to discount all of their claims. In many criminal cases, expert witness testimony and consultation with other legal professionals is necessary to build a strong defense. A former prosecutor will have already developed special relationships with key professionals in your area, which gives you access to valuable people to defend against any charge. Criminal trials are emotional and stressful as evidence is presented, witnesses testify, and each side provides opening and closing arguments. All of this can cause the inexperienced criminal defense lawyers to become flustered. In turn, the judge and the jury may give less weight to what they are saying. Tom Kokonowski had prosecuted approximately 30 jury trials by the time he left the prosecutor’s office and became a criminal defense attorney. If you have been charged with a crime, or if you are simply being questioned in relation to a crime, then reach out to a seasoned criminal defense attorney. Tom Kokonowski, Esq. has over 20 years of experience and also served as a prosecutor before becoming a defense lawyer. Contact Attorney Kokonowski today to learn more about your legal rights and, particularly, how to build the strongest defense possible. So, call now for a consultation at (413) 585-9200 or (413) 549-0022.